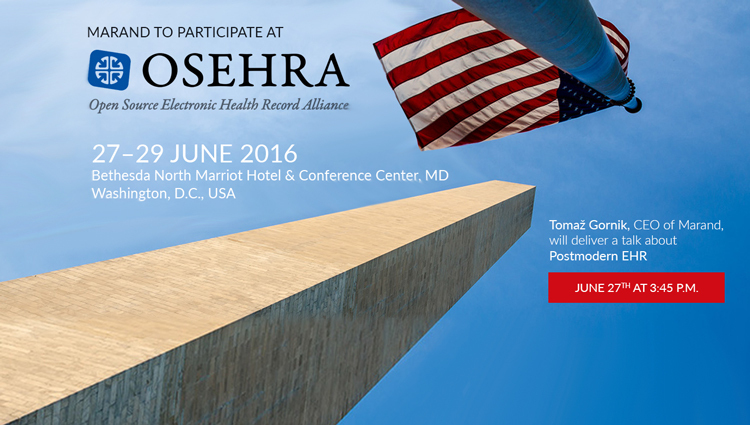 Tomaž Gornik, CEO of Better by Marand, will speak at OSEHRA Open Source Summit in Washington DC, the largest annual event in open source health-technologies in the USA. Openness and agility are at the core of Postmodern EHRs. The term “Postmodern” was launched recently by Gartner when describing the ongoing evolution of ERP systems moving from monolithic towards modular systems. Tomaž Gornik applied this concept to EHRs in a series of blog posts and recent presentations at different events around the globe (see blog posts). A postmodern EHR is a multivendor environment built on an open and agile architecture, where introducing, renewing and replacing apps, devices, and cloud services is far easier and faster compared to legacy monolithic EHRs. A cornerstone to any postmodern EHR architecture is a health data platform capable of managing data on behalf of all constituents of the architecture. Better Platform™ is one of the leading health data platforms with many major real-world implementations. Better Platform™ is based on open-sourced data models (openEHR) while supporting agile development of innovative solutions on top. One such example is OPENeP, an open source medication management solution supported by NHS England and built on Better Platform™.